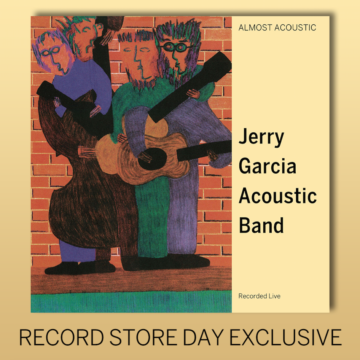 Almost Acoustic 30th Anniversary Reissue Coming Nov. 23rd for Record Store Day! Staying true to the form of its original release, Almost Acoustic will be re-issued as a Black Friday Record Store Day exclusive in two formats: a limited edition 2xLP 180-gram marbled green & black vinyl set and a single CD configuration. The 2xLP set is pressed by Pallas Group in a limited edition of 5,000 pieces and features individually numbered, gold foil-stamped gatefold packaging. Each LP also includes a free MP3 download of the re-mastered album audio. For more information on Record Store Day and a list of local, independent record stores where the release will be available, visit RecordStoreDay.com.